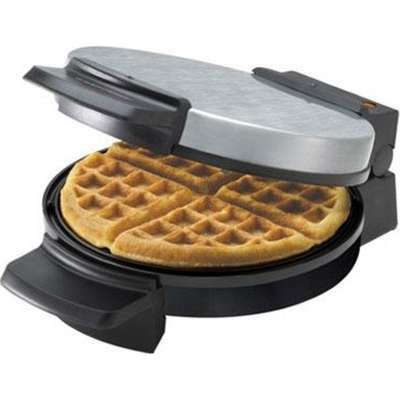 Black & Decker Belgian Waffle Maker makes fluffy round Belgian waffle in four sections, perfect for sharing! Extra deep grids to hold toppings and syrups, whatever you like. Nonstick cooking grids wipe down and make cleaning up easy! Vertical storage base and cord wrap. Nonstick cooking grids wipe quickly clean, Nonstick waffle grids with extra deep grids, Ready indicator light, Vertical Storage Base, Convenient cord wrap.